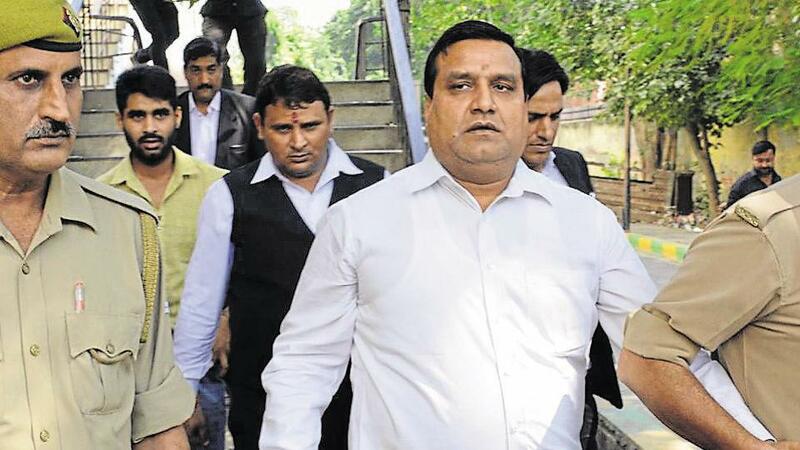 Former Sahibabad MLA and Congress leader Amar Pal Sharma, booked under the National Security Act (NSA) in connection with the murder of BJP leader Gajendra Bhati, was given bail by the Allahabad High Court on Tuesday. Bhati was murdered on September 2, 2017, in Khoda locality bordering Delhi. The Allahabad High Court declared imposition of NSA on the former MLA illegal and granted bail to him, Defence lawyer Deepak Thakur said. He was detained in jail for 330 days due to the imposition of NSA, Thakur added. Police in Ghaziabad had arrested sharpshooters Narendra Gurjar alias Narendra Fauzi and Raju, the two men who allegedly shot dead the Bharatiya Janata Party (BJP) leader. Narendra Gurjar, who had been Sharma’s security officer, had allegedly confessed that he along with Raju killed Bhati at the former legislator’s behest. Sharma represented Sahibabad as the Bahujan Samaj Party MLA in the Uttar Pradesh Assembly but joined the Congress after he was denied a ticket in the 2017 Assembly elections. He contested on Congress ticket but lost to BJP’s Sunil Sharma.